If you have ever stepped into the waters of local SEO, you know that it is much deeper than it appears. And to perform well, it’s critical that the information about your business is correct and consistent across the many different search engines, maps, apps, social networks, voice assistants, and directories that consumers are using to search. That’s why we are happy to announce our new Listing Management tool, a collaboration between SEMrush and Yext — and a simple solution to help put you in control of your digital knowledge. Your digital knowledge is made up of the public-facing facts about your business. To rank well in local search results, it is critical that you keep this information (which includes your name, address, phone number, hours of operation, and more) correct, not only on your own website, but also on the many other sites maps, apps, social networks, and directories consumers are using to search for information. Yext is the leading Digital Knowledge Management (DKM) platform. Yext's mission is to give companies control over their brand experiences across the digital universe of maps, apps, search engines, voice assistants, and other intelligent services that drive consumer discovery, decision, and action. 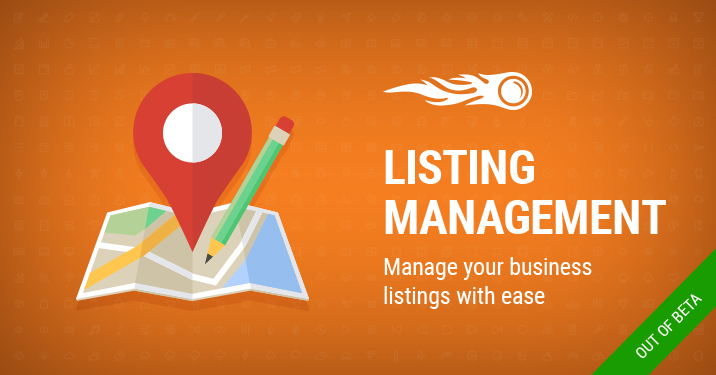 The Listing Management tool harnesses the Yext Knowledge Network to publish data across all the most popular directories and intelligent services — including Facebook, Google, Yelp, Foursquare, TripAdvisor, Apple Maps, Yahoo, Bing, and many more. Most recently, Yext added Amazon Alexa to the Knowledge Network. This means you can now ensure Alexa has the most up-to-date information about your business and reach consumers through tens of millions of devices. Next, proceed to payment, and put the tool to work. Our paid subscribers get to employ all of Yext’s Digital Knowledge Management capabilities, on top of SEMrush, for only $20 per location a month. For now, Listing Management is only available for US and Australia. If you have any questions or suggestions, email us at [email protected]. The Updated Advertising Research and PLA Research Reports Are in Open Beta!